WELCOME to my one-woman design studio! Freelancing in the Pacific Northwest, in digital and print mediums. My portfolio is under construction. In the meantime, please view a few samples. Get in Touch! From concept to paper to screen, my goal is to help clients develop their unique story and create work that engages and speaks to their consumers. I design with the belief that process and collaboration should be inspiring and educational. Your best foot forward is one where you step online. I can help you find the best solution to discover and engage with your customers. Services include custom design, SEO, CMS implementation, e-marketing, and more. Currently available for freelance work. Send me an email and I'll get back to your inquiry. Hi! 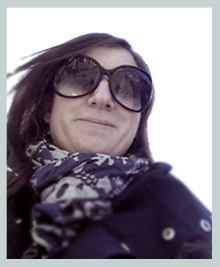 My name is Siobhan Doyle, and I am a multidisciplinary designer and art director living in the Pacific Northwest. I've been designing for almost a decade and have enjoyed working with many clients, both large and small. My background is in both design and marketing, which allows me to tackle my client's projects with a strategic vision in mind. Ideally I work with small businesses or single persons. Smaller projects allow me to get involved on a much more personal level. I get to know the person I work with, and can accurately determine their business objectives and develop an efficient strategy to succesfully accomplish their goals.